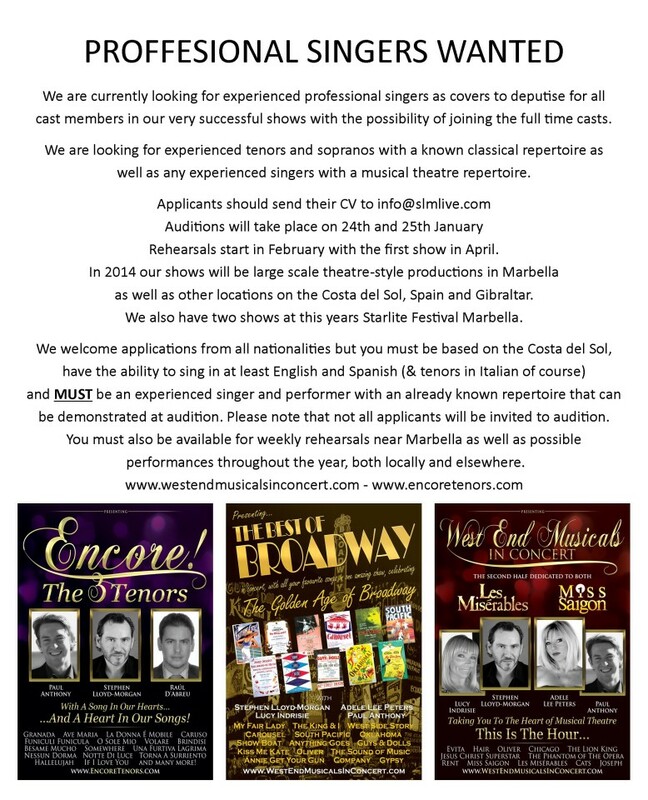 PROFFESIONAL SINGERS WANTED – MARBELLA – COSTA DEL SOL | Marbella Marbella – Adelante! We are currently looking for experienced professional singers as covers to deputise for all cast members in our very successful shows with the possibility of joining the full time casts. We are looking for experienced tenors and sopranos with a known classical repertoire as well as any experienced singers with a musical theatre repertoire. Rehearsals start in February with the first show in April. In 2014 our shows will be large scale theatre-style productions in Marbella as well as other locations on the Costa del Sol, Spain and Gibraltar. We also have two shows at this years Starlite Festival Marbella. 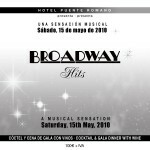 We welcome applications from all nationalities but you must be based on the Costa del Sol, have the ability to sing in at least English and Spanish (& tenors in Italian of course) and MUST be an experienced singer and performer with an already known repertoire that can be demonstrated at audition. Please note that not all applicants will be invited to audition. You must also be available for weekly rehearsals near Marbella as well as possible performances throughout the year, both locally and elsewhere.